This Disney item for sale features 20 different backer cards. They are the normal rack or OE black pin cards, some might be thick paper some might be the older style which is plastic with velvet on the front. 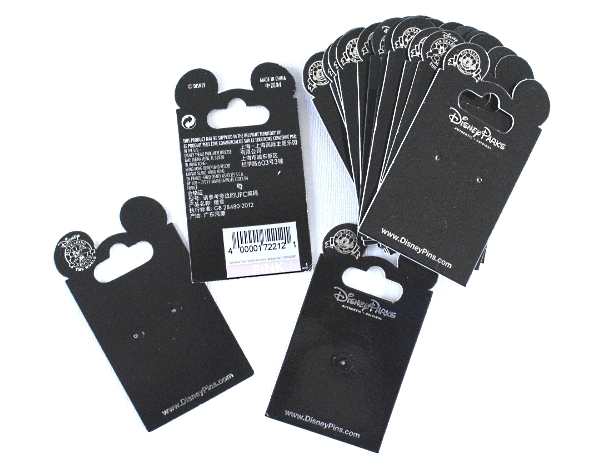 • You can use these pin cards to make a pin trading book. Get a notebook binder with a large ring size, get plastic baseball card protector sheets, and these black backer cards slide right inside the plastic sheets.